As the government shutdown over President Trump’s demand for border wall funding reached 32 days, the San Diego Symphony became the latest local institution to offer help to furloughed employees. The symphony announced Tuesday that federal employees with a current government ID can receive up to four complimentary tickets to any Jacobs Masterworks program between now and the end of the 2018-19 season on May 26. “Music has the power to lift the spirits. The symphony can offer a few hours of beauty, pleasure and hope to the many individuals and families in our community facing hardships as a result of the shutdown,” said Martha Gilmer, president and CEO. 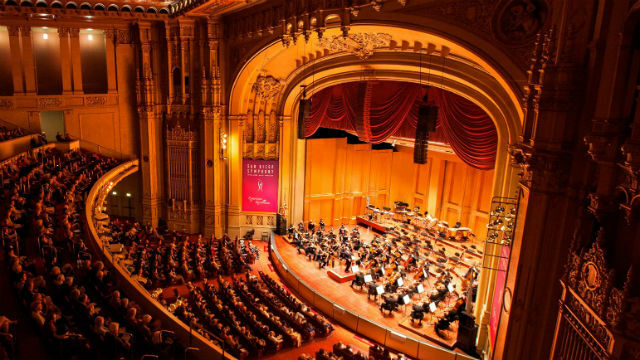 Those eligible may reserve available tickets by phone at (619) 235-0804 or in person at the box office at Copley Symphony Hall in downtown San Diego. San Diego credit unions, apartment landlords, food banks and social service agencies have stepped up in recent weeks to assist an estimated 5,000 people in San Diego affected by the shutdown.